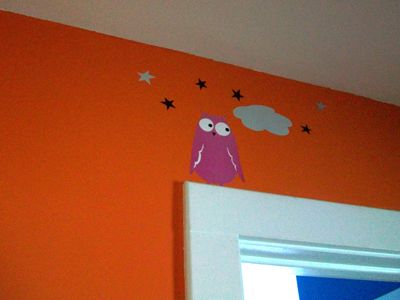 I got these cute wall stickers at a local shop awhile ago and finally put them up. 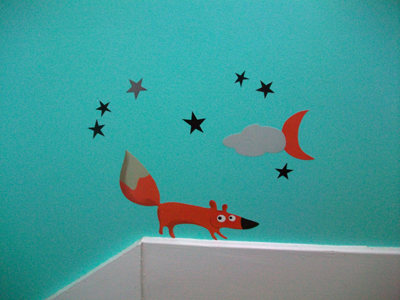 The fox is pretty cute too. 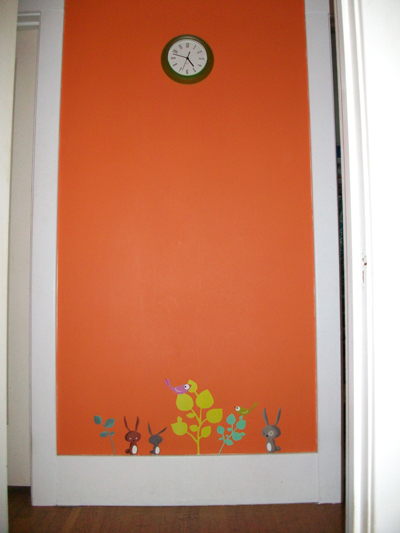 The wall stickers are made by Nouvelles Images and will peel right off the wall if I get tired of them. 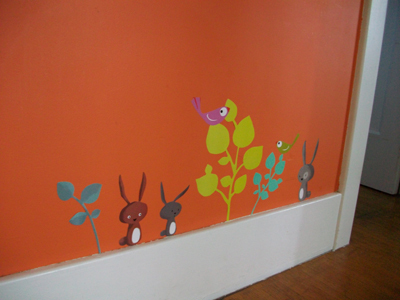 It's a risk-free way to have some fun decorating a wall. Do you remember where you bought them? I'd love to get some for my daughter's room. I got them at Parkleigh. It's a cute shop here in Rochester on Park Ave.
Those are adorable! I love something like that to stick in a corner or somewhere unexpected. Very cool idea! Those are so cute! i have to check out the website. Great! That fox is the best. I guess we already miss Parkleigh! Very cute! I love the Parkleigh.